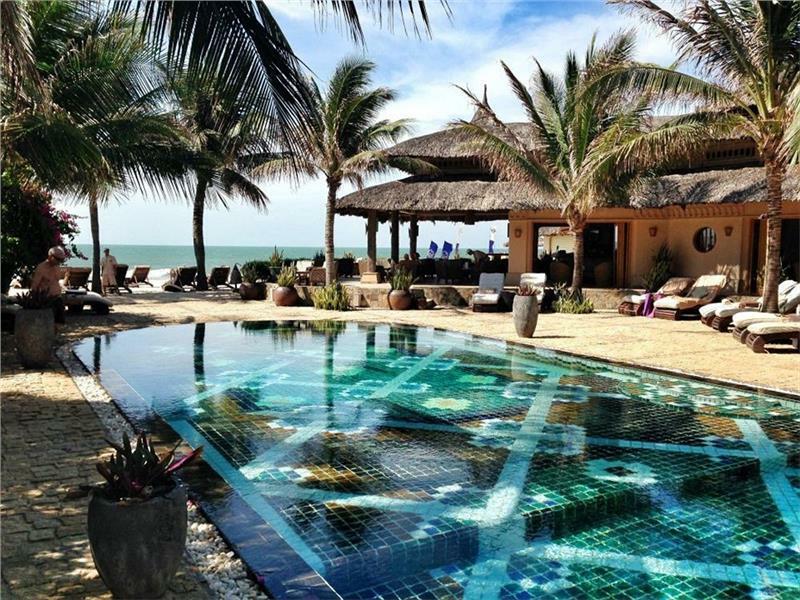 Mia Resort Mui Ne is one of Mui Ne 4 star resorts located at 24, Nguyen Dinh Chieu Street, Mui Ne, Phan Thiet, Binh Thuan Province, Vietnam. 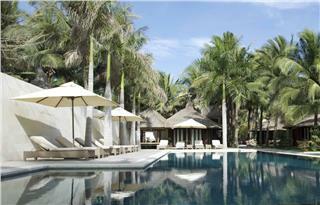 The resort offers guests a warm and pleasant stay on the golden shores of Mui Ne Beach. Situated on the beachfront with Sandals Restaurant & Bar and the pool area gazing over the East Sea, Mia Resort Mui Ne promises to bring guests fresh, cool, and relaxing atmosphere to enjoy a wonderful holiday. All of bungalows and villas in Mia Resort Mui Ne features 4-star facilities and amenities such as an en- suite bathroom, cable TV, IDD telephone, safety box, tea and coffee facility and air conditioning to ensure guest’s comforts. All bungalows have their own private terrace whilst the Sapa house rooms have balconies overlooking the gardens to provide the best Mui Ne accommodation. 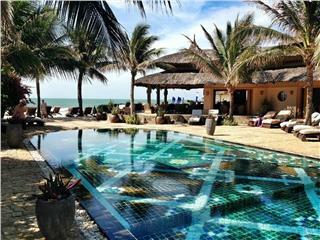 Staying in Mia Mui Ne Resort, guests can feel the natural and fresh ambience to forget all stresses and troubles in life. Sapa House Room was named after the northern mountainous area. There are seven Sapa House Rooms in the block which is surrounded by lush tropical plants and gardens. These rooms are tastefully designed and equipped and suitable for groups of friends or families. Superior Garden View Bungalow is set in interlacing labyrinths of lush gardens, therefore, choosing this bungalow, guests can enjoy fresh air among very natural sceneries. Especially, each Superior Garden View Bungalow is equipped with open-air bathroom where guests can enjoy showering under starry sky in complete privacy space. This is a very relaxing space for guests to release all stresses. In addition, each bungalow has a veranda overlooking the garden where guests can sit back, relax, and enjoy the restful environment. Superior Garden View Bungalow can provide extra bed for an extra adult or child on request. Deluxe Garden View Bungalow has the stunning interior design with a spacious bedroom and veranda, a writing desk, modern amenities, and exquisite doors leading to marble bathtub and shower. One Twin Deluxe Garden View is available on request. Deluxe Beach Front Bungalow is well-appointed with all comforts and features of Deluxe Garden View Bungalow, nonetheless, the difference and also the highlight of this bungalow type is that they are set right on the beach. 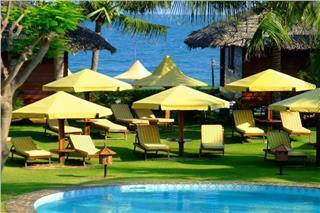 Thereby, it only takes guests some steps to the sand to enjoy spectacular view of East Sea. 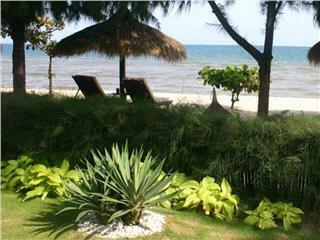 It can be said that Deluxe Beach Front Bungalow is a perfect combination of comfort, luxury, and location. 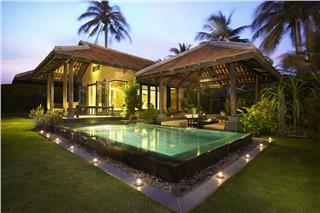 As it name replies, 3-bedroom Family Villa has 2 double bedrooms and 1 children bedroom, kitchen, and living room. 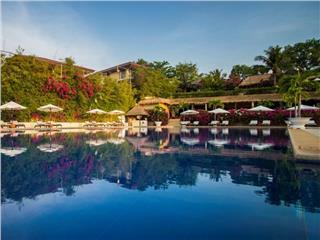 Each bedroom features a large open balcony facing lush gardens. The master bedroom has a sizable dressing room, space for a baby cot and a large en-suite bathroom with bathtub and shower. The spacious living area is great for family gatherings to entertain, have intimate talk, watch TV, etc. 3-bedroom Family Villa is truly home away from home. Mia Resort Mui Ne, one of 4 star resorts in Phan Thiet, will provide modern facilities and professional services to satisfy guests. Staying in Mia Resort Mui Ne, guests can not only enjoy the relaxing atmosphere created by lush gardens and the hotels’ convenience but also take part in many activities. The first thing that guests should not missed during a stay in Mia Resort is visiting Xanh Spa. In Xanh Spa, guests will be offered a wide selection of treatments to rejuvenate body and soul from the stress and strain of everyday life. Besides, guests can go swimming or sunbathing at the outdoor pool or the beach, try kite surfing, participate in Mia cooking classes, play golf in Ocean Dunes Golf Club (15 kilometers from the resort), or buy souvenir for friends and families in Gift Shop. Being known as one of the finest restaurants in Mui Ne, Sandals Restaurant offers guests a wide range of Vietnamese cuisines and Western foods. 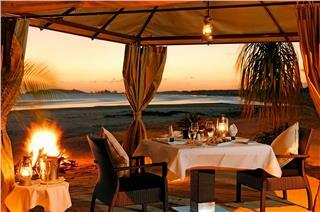 Using fresh ingredients, Sandals Restaurant caters traditional and unique culinary delights. This is perfect place to enjoy the freshest seafood, exquisite meats, delightful salads, best cocktails in Vietnam, and a plenty of imported wines. - All rates include breakfast and are subject to 10% Government Tax and 5% Service charge. 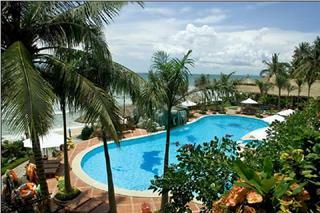 - Rates are based and charged in Vietnam Dong (VND). 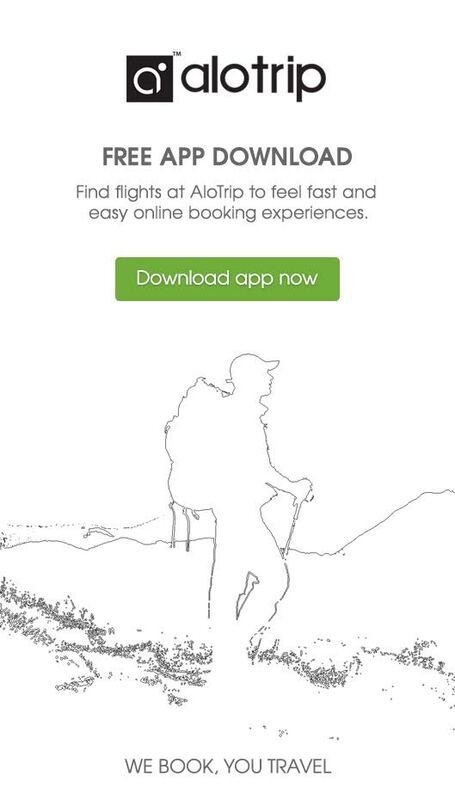 - Where guests prefer to pay in USD, the daily exchange rate will be used. - Extra beds may only be fitted into Bungalows, not Sapa House Rooms due to space requirements. 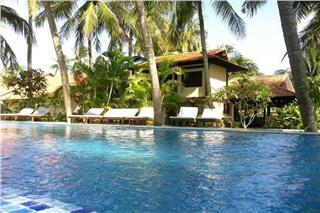 Two Triple Sapa House Rooms are available; please enquire regarding the room for a family option. Cancellation policy varies depending on time of booking, room types, and packages. + Applicable for all room categories.